Students returned to the Ewing Marion Kauffman School in Kansas City this week to begin another year—some of them as high schoolers. The Kauffman School is a rigorous college preparatory school founded in 2011 by the Kauffman Foundation. It prepares students to excel academically, graduate from college, and apply their unique talents in the world to create economically independent and personally fulfilling lives. Adding a class of fifth-grade students each year, the school will eventually enroll students through the twelfth grade. The 2015-2016 school year begins with a milestone as the first group of ninth graders, members of the Class of 2023 (for the year they will graduate from college), officially opened the high school. Just in time for the release of state test scores in Missouri, EdWise has launched two new tools aimed at helping educators, policymakers, researchers, and non-profits easily access and analyze education data. The Kauffman Foundation debuted EdWise , an online database of Kansas and Missouri K-12 metrics, in June. Its first two tools were designed to help users easily mine school and district data in a range of categories—such as assessments, demographics, finance, staff, and transportation. 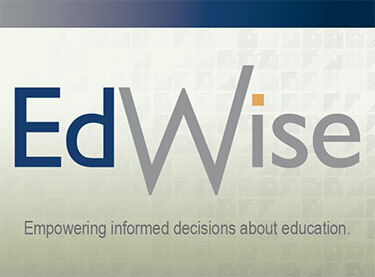 The two newest EdWise tools give an even more comprehensive look at education data. The Summary Graph tool allows users to compare schools or districts from across either state in more than 500 categories. The State Test Score tool offers two ways to access assessment data in just a few mouse clicks. Kauffman Founders School and the U.S. Small Business Administration (SBA) will hold a Twitter chat on August 25 from noon to 1 p.m. CDT to discuss how Millennial entrepreneurs can harness the power of their local startup communities. The popular monthly Twitter chat sessions presented by Kauffman and the SBA have focused on various aspects of job creation, the economy, and teaching entrepreneurship. Participate in the chat by following @KauffmanFS, @SBAgov, and #MillennialTreps on Twitter.